Are you done with dishonest contractors and maximising your spending budget companies? You are in the right place then! At R.A.I.L. we provide our private and commercial client with honest inspection and analysis, that defines exactly what isn’t working properly and needs to be fixed or changed to maintain all the functions of the building at a great state. With rope access, R.A.I.L. can provide you with the most comprehensive view of the state of your building. By conducting a thorough inspection and analysis of the building, we can offer you a complete and detailed draft of the repair process, guaranteeing a solution that is both swift and very cost-effective. Using industrial abseiling, our rope access technicians can do all that without a need for any heavy equipment. Everything is done using only ropes and a handful of tools. With our maintenance services, you can be sure that all building surveying will be conducted in a completely safe and reliable manner. 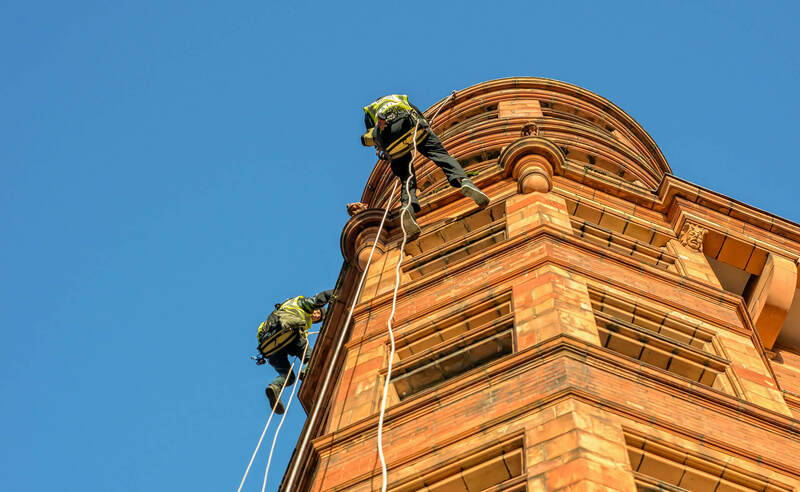 Thanks to their unencumbered movement and an unlimited supply of tools, our rope access specialists can provide you with the most reliable service in the city. Our services are very safe, thanks to certificates we have, like for example CSCS and IRATA training. Don’t wait any longer and contact with R.A.I.L. today! Fill in a quote and get the reliable and budget-friendly inspection quickly.